A Boeing 747-400 passenger jet can hold 416 passengers. This blog was viewed about 7,400 times in 2010. That’s about 18 full 747s. In 2010, there were 5 new posts, growing the total archive of this blog to 244 posts. There was 1 picture uploaded, taking a total of 428kb. The busiest day of the year was May 3rd with 48 views. 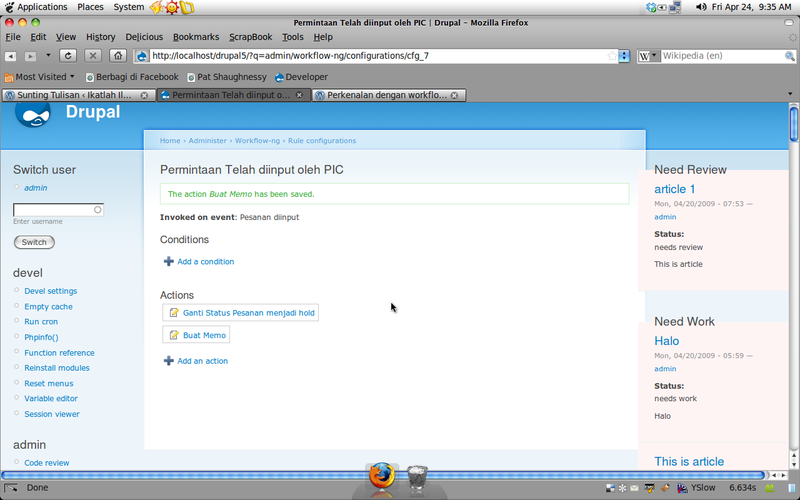 The most popular post that day was Memainkan Mp3 di Ubuntu Breezy. The top referring sites in 2010 were google.co.id, facebook.com, search.conduit.com, id.wordpress.com, and obama-scandal-exposed.co.cc. Some visitors came searching, mostly for riba adalah, konsep bank syariah, jual beli dan riba, mp3 di ubuntu, and gaji bps pertamina.